In addition to its tropical charm, Veranda Grand Baie Hotel boasts a superb location on the splendid bay of Grand-Baie and a few steps away from the centre of this vibrant village. Hotel guests can walk just a few minutes to the best of Grand-Baie’s bars, restaurants and shops. 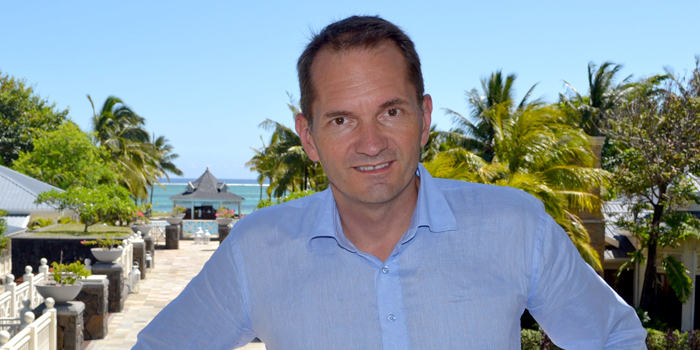 In an interview with Colours, Michel Frédric, the new Hotel Manager of Heritage Le Telfair Golf & Spa Resort, told us about his first impressions and the plans he has for the sumptuous five-star resort. Rencontre. 1. You have worked for many hotels across the world. What makes Mauritius so special? Each destination is appealing in its own way, but Mauritius really inspires good living and hospitality, as well as a renewed authenticity since the last few years. I believe the chosen direction towards a greener island is a key asset that will support the country’s economic stability on the long term. 2. Which are Heritage Le Telfair’s major assets according to you? After more than 15 years in Mauritius, I have discovered the South of the island, which holds an incredible potential of authenticity. Southern lifestyle has remained quite the same over the years. 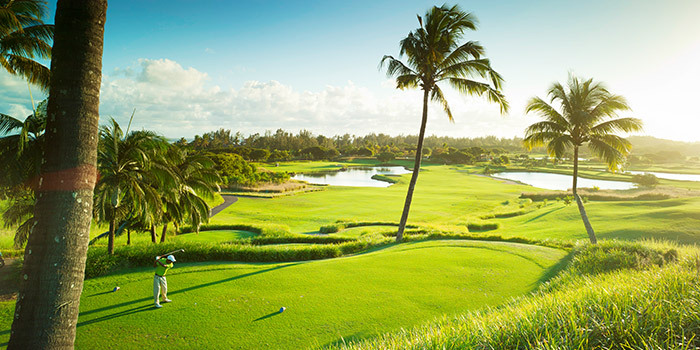 Being able to swim in the most preserved lagoons of the island in the morning, jump into a waterfall deep in the endemic forest, and play on one of the most spectacular golf courses in the Indian Ocean… that’s just part of the magic! But the main ingredient surely is the undeniable beauty of the hotel, set at the heart of this wonderful landscape. 3. With more than 25 years in the hospitality and gastronomy sector, how will you put your experience at work with respect to Heritage Le Telfair’s culinary offers? Even if I have shifted to hotel management since the last few years, deep inside I still have a passion for gourmet cuisine, wine and culinary arts. We are the only resort on the island to offer more than 12 restaurants with strong concepts, including the Château de Bel Ombre offering typical Mauritian cuisine made from locally-grown ingredients, and Gin’ja Restaurant with its enormous sushi plates and interactive Tepanyaki experience. We will shortly open an Asian bar, based on the Asian street food and market concept; a salad bar under the coconut trees; and an ice-cream corner with home-made ice cream served alongside delicious freshly-made waffles. 4. Heritage Le Telfair has introduced new experiences at the end of 2015. What are the clients’ feedback? The VIP tents have definitely been the most successful. They are now used as private dinner venues with musical background for special occasions. The nap in a little wooden shack by the river is a must, especially for nature lovers seeking an intimate place to rest. The “ronde culinaire” will be reviewed with new tasting menus, prepared by our Executive Chef, Thiery Gourdin, to offer guests an exciting gourmet journey at the heart of the Domaine. 5. What’s new in 2016 at Heritage Le Telfair? A lovely 33-feet speed boat has joined our fleet to offer guests unique sea excursions with butler service and gourmet delights on-board. Other new offers will be based on: a wellness experience, combining pre-golf stretching exercises, yoga and paramedical care for professional golfers; a culinary journey, parts of which I have already presented; a totally revamped entertainment program with new shows and musicians. 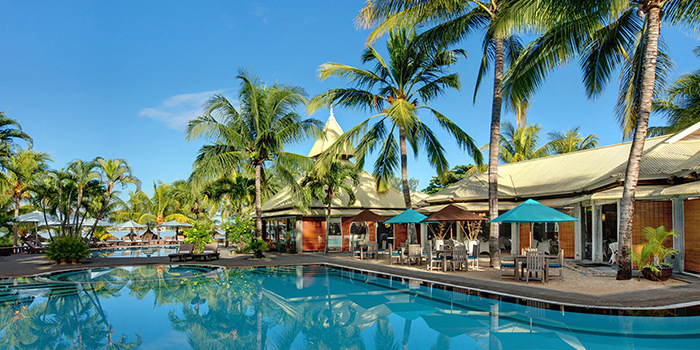 Animated with a real passion for tourism and hospitality, and a strong urge to create and excel, Michel Frédric aims at providing a fabulous experience to every guest who will stop by Heritage Le Telfair Golf & Spa Resort.